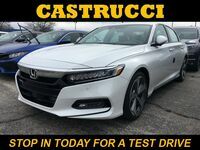 Drivers looking for a family sedan with plenty of interior space, a driver-oriented handling and an attractive styling will want to check out the 2017 Honda Accord. 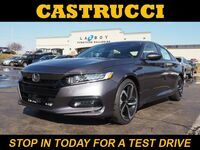 The 2017 Accord offers a comfortable and roomy interior, a smooth ride, multiple engine options and plenty of options drivers can pick and choose from to best fit their needs and preferences. It’s extremely important to compare similar vehicles when you’re in the market for a new car, so how does the 2017 Honda Accord stack up against competitors? Read on for an in-depth look at the features and specifications you can find on the 2017 Honda Accord as well as one of the 2017 Accord’s top competitors: the 2017 Kia Optima. The 2017 Kia Optima comes in five trim levels: LX, LX 1.6, EX, SX and SX Limited. The LX and EX trims come standard with a 2.4-liter inline 4-cylinder engine that makes 185 horsepower and 178 pound-feet of torque. The LX 1.6 trim comes standard with a 1.6-liter turbocharged DOHC engine that makes 178 horsepower and 195 pound-feet of torque. Drivers looking for more power will want to opt for the SX or SX Limited trim, as they both come standard with a 2.0-liter turbocharged inline 4-cylinder engine that makes 245 horsepower and 260 pound-feet of torque. Standard safety features for all trim levels include dual front advanced airbags, the Anti-lock Braking System, Vehicle Stability Management, Electronic Stability Control, Hill Start Assist Control, the Tire Pressure Monitoring System and the LATCH System. No advanced safety systems are available. The 2017 Honda Accord comes in seven trim levels that allow drivers to pick and choose features to best fit their needs. Trim levels include LX, Sport, Sport Special Edition, EX, EX-L, EX-L-V-6 and Touring. 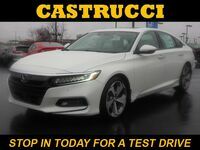 The LX, EX and EX-L trims come standard with a 2.4-liter inline 4-cylinder engine that makes 185 horsepower, while the Sport trim comes equipped with a 2.4-liter i-VTEC® 4-cylinder that makes 189 horsepower. Looking for more power? No problem! The EX-L-V-6 and Touring trims come standard with a 3.5-liter i-VTEC® V6 engine that generates 278 horsepower. Standard safety features for all trims include Vehicle Stability Assist® with Traction Control, the Anti-Lock Braking System, Electronic Brake Distribution, Brake Assist, a multi-angle rearview camera, the Tire Pressure Monitoring System, the LATCH System, side curtain airbags with a rollover sensor, and dual-stage multiple-threshold front airbags. Available advanced safety features include Forward Collision Warning, Lane Departure Warning, the Collision Mitigation Braking System™ and the Road Departure Mitigation System. 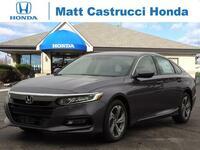 Drivers interested in learning more about the 2017 Honda Accord are encouraged to contact a member of our team here at Matt Castrucci Honda. Ready to get behind the wheel and take the sedan out for a test drive? 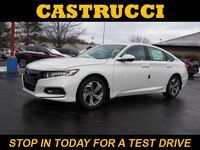 Schedule an obligation-free test drive online or stop right in and see us at our location in Dayton!